Wings. Wrapped bodies. 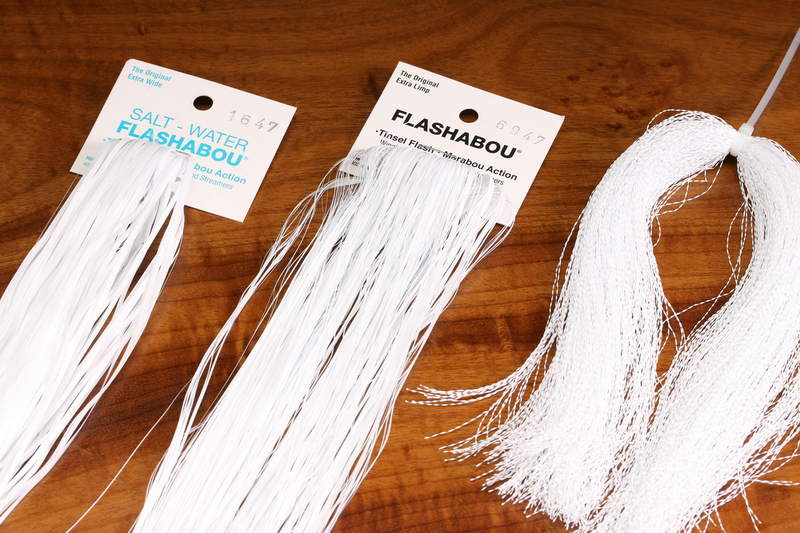 Spun Flashabou as Intruder hackles. Beards on Steelhead and salmon flies. 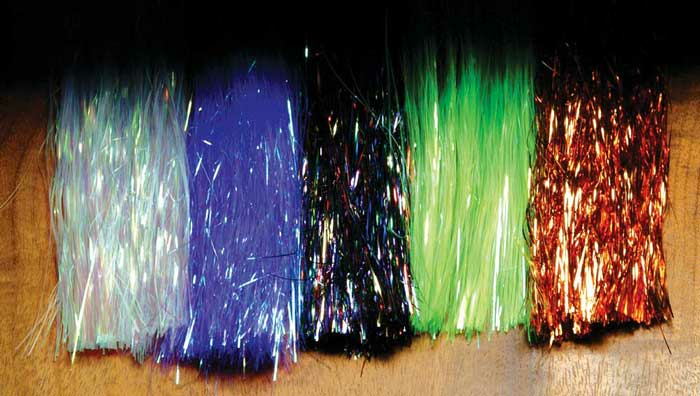 Did we mention streamer and steelhead and salmon fly wings? Gotta have each and every color of this original Flashabou. Come on, you know you could use all these great colors! 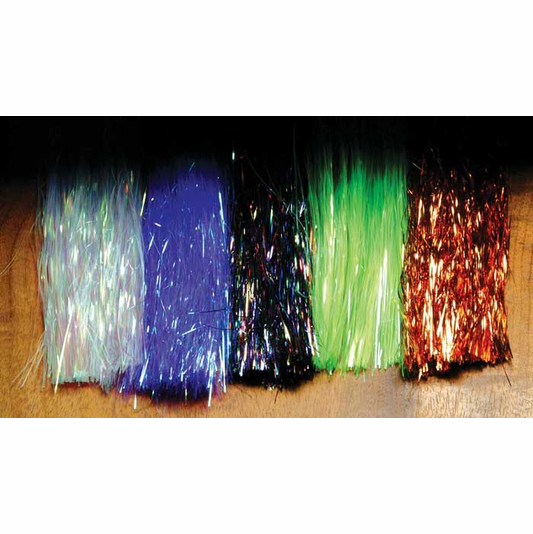 Flashabou is a mylar tinsel flash with a marabou like action. Great as a winging material for Jigs and Streamers. Magnum sizes also available in this Flashou product listing. Just scroll down the color/size options. Magnum is wider and thicker for larger streamer patterns and wing cases.